Dr. Mendelson is a board certified allergist and clinical immunologist. Dr. Mendelson is a clinical professor of pediatrics at the University of Connecticut School of Medicine and has hospital appointments at Connecticut Children’s Medical Center and Hartford Hospital. Dr. Mendelson is in charge of the Division of Allergy and Immunology at the Connecticut Children’s Medical Center, is co-director of the Food Allergy Clinic at Connecticut Children’s Medical Center, and serves as medical advisor to the local Food Allergy/Education Support Group. Dr. Mendelson received his medical degree from the Medical College of Virginia. Dr. Mendelson completed his pediatric residency at Bronx Municipal Hospital Center at the Albert Einstein School of Medicine in New York and his allergy and immunology fellowship at the University of California in San Diego. Dr. Mendelson’s research and writing interest include penicillin allergy, food allergy, anaphylactic reactions, asthma, and vernal conjunctivitis. He is board certified in pediatrics and allergy and immunology. 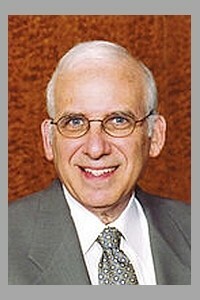 Dr. Mendelson is the past president of the New England Society of Allergy and the Connecticut Society of Allergy and Immunology. He is a fellow of the American Academy of Allergy, Asthma, and Immunology, and served on the Board of Directors. Dr. Mendelson holds memberships in the American College of Allergy, Asthma, and Immunology, the New England Society of Allergy, and the Connecticut Allergy and Immunologic Society. In 2004 Dr. Mendelson was one of the founders of AllerQuest, a company originated to bring PrePen back to market. AllerQuest obtained FDA approval for PrePen in the fall of 2009. Dr. Mendelson is the company’s president and CEO. He is the originator of the Food Allergy/Education Support Group for the greater Hartford area. Dr. Mendelson is the 2000 recipient of the “Distinguished Clinician Award” presented by the American Academy of Allergy, Asthma and Immunology. Dr. Mendelson was honored with the Food Allergy Network’s “Marial C. Furlong Award for Making a Difference” in 1999. Dr. Mendelson was voted “The Best Allergist in 1999” by a Channel 3 viewer poll. He has been recognized by the Connecticut Magazine list of “Best Doctors in Connecticut,”Hartford Magazine “Greater Hartford’s Top Docs,” and The Best Doctors in America. In 2010, Dr. Mendelson was honored to receive the American Academy of Allergy, Asthma and Immunology RSLAAIS Leadership Award. Dr. Factor along with Dr. Mendelson and Dr. Lee opened their Center in 2010 when private practice OIT was performed by just the 3 or 4 other docs in the country (Dr. Wasserman, Dr. Mansfield, Dr. Baker, and Dr. Nash). Twice-daily budesonide inhalation suspension in infants and children < 4 and > or = 4 years of age with persistent asthma.Mendelson, L., Cook, D., Cruz-Rivera, M., Fitzpatrick, S., Smith, J. A.; J Asthma. 2002 May. Current Status of Immunoglobulin E (IgE).Hamburger, R. N., Mendelson, L. M.; Calif Med. 1971 Oct.
Once-daily budesonide inhalation powder (Pulmicort Turbuhaler) maintains pulmonary function and symptoms of asthmatic children previously receiving inhaled corticoster…Shapiro, G. G., Mendelson, L. M., Pearlman, D. S.; Ann Allergy Asthma Immunol. 2001 Jun. Dose-ranging study of a new steroid for asthma: mometasone furoate dry powder inhaler.Bernstein, D. I., Berkowitz, R. B., Chervinsky, P., Dvorin, D. J., Finn, A. F., Gross, G. N., Karetzky, M., Kemp, J. P., Laforce, C., Lumry, W., Mendelson, L. M., Nels…; Respir Med. 1999 Sep. Comparative efficacy and safety of once-daily versus twice-daily loratadine-pseudoephedrine combinations versus placebo in seasonal allergic rhinitis.Kaiser, H. B., Banov, C. H., Berkowitz, R. R., Bernstein, D. I., Bronsky, E. A., Georgitis, J. W., Mendelson, L. M., Rooklin, A. R., Sholler, L. J., Stricker, W. W., H…; Am J Ther. 1998 Jul. The effects of triamcinolone acetonide aqueous nasal spray on adrenocortical function in children with allergic rhinitis.Nayak, A. S., Ellis, M. H., Gross, G. N., Mendelson, L. M., Schenkel, E. J., Lanier, B. Q., Simpson, B., Mullin, M. E., Smith, J. A.; J Allergy Clin Immunol. 1998 Feb. Effectiveness of fluticasone propionate in patients with moderate asthma: a dose-ranging study.Wolfe, J. D., Selner, J. C., Mendelson, L. M., Hampel, F., Schaberg, A.; Clin Ther. 1996 Jul 01. Anaphylactic reactions in skin test-negative patients.Selcow, J. E., Mendelson, L. M., Rosen, J. P.; J Allergy Clin Immunol. 1980 May. Routine elective penicillin allergy skin testing in children and adolescents: study of sensitization.Mendelson, L. M., Ressler, C., Rosen, J. P., Selcow, J. E.; J Allergy Clin Immunol. 1984 Jan.
Anaphylaxis-like reactions to corticosteroid therapy.Mendelson, L. M., Meltzer, E. O., Hamburger, R. N.; J Allergy Clin Immunol. 1974 Sep 01. Allergic rhinitis.Mendelson, L. M., Nyhan, W. L., Hamburger, R. N.; Calif Med. 1972 Dec 01. A liquid chromatographic study of stability of the minor determinants of penicillin allergy: a stable minor determinant mixture skin test preparation.Ressler, C., Neag, P. M., Mendelson, L. M.; J Pharm Sci. 1985 Apr 01. Albuterol nebulizer solution for the treatment of asthma.Storms, W. W., Hudson, L. D., DeGraff, A. C., Mendelson, L. M., Greenstein, S.; Ann Allergy. 1985 Dec 01. Duration of action of oral albuterol in an asthmatic population.Rosen, J. P., Chervinsky, P., Renard, R. L., Kemp, J. P., Mendelson, L. M., Selcow, J. E., Noyes, J. H., Meltzer, E. O., Welch, M. J., Orgel, H. A.; Ann Allergy. 1986 Jan.
Clinical benefits of cromolyn sodium aerosol (MDI) in the treatment of asthma in children.Selcow, J. E., Mendelson, L. M., Rosen, J. P.; Ann Allergy. 1989 Mar. Skin test for diagnosis of penicillin allergy–current status.Ressler, C., Mendelson, L. M.; Ann Allergy. 1987 Sep.
Antibody responses in normal infants and in infants receiving chemotherapy for congenital neuroblastoma.Orgel, H. A., Hamburger, R. N., Mendelson, L. M., Miller, J. R., Kung, F. H.; Cancer. 1977 Sep.